When it first came out, the blue-and-silver 'TPS-L2' cost $200. 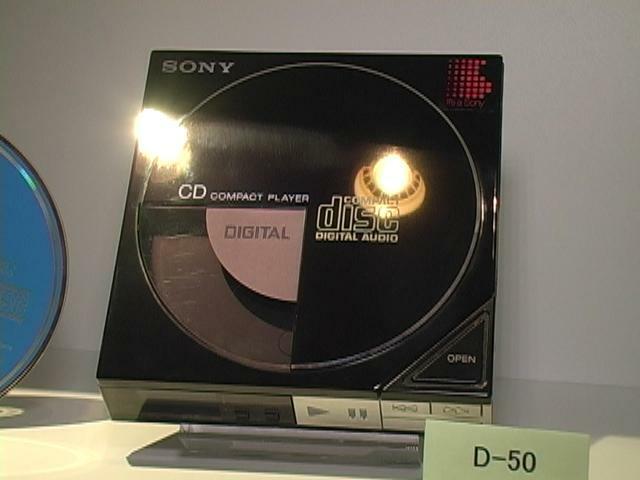 And before the Japanese-made English word 'Walkman' took hold, it was originally called the 'Soundabout' in the U.S., 'Stowaway' in England, and 'Freestyle' in Australia. The TPS-L2 came with a matching blue flip-open case and lightweight headphones that didn't resemble Princess Leia's hair buns (as most headphones of that era did). I remember that first Walkman well--I was lucky enough to have one. I got mine on a vacation in Hong Kong (where it cost less than U.S. $200 at the time), and I've never been far from a portable music player since. My favorite memories in the beginning involved using that Walkman on long airplane trips, and in car rides to my grandparents. I used to love the orange "hotline" button: I'd press it down, and the playback volume faded into the background-making it all the easier to eavesdrop on my folks in the front seat of the car, or multitask and answer mom even while still listening to music. That early Walkman also had left and right channel volume controls, and dual headphone inputs-handy for sharing tunes with a friend en-route to the amusement park. Even though I remember that first Walkman being a bit bulky for one-handed operation, I also recall that its buttons were fairly logically placed, and conducive for operating the device by feel. The TPS-L2 was not my only Walkman; I scored an attractive, curved cassette tape case-sized model in Japan in the mid-'80s that was slim and super finger-friendly, with all of its buttons in a logical row. What I learned from the TPS-L2, you could say, helped inform the future consumer electronics choices I made.